Rugove wanted something new to use for their corporate events, or their other communication materials. Usually people just splash their logo and some pictures of their products, so it is nice when someone asks for something different. The team was happy to oblige, and provided the company with beautiful graphics that they can use anywhere. 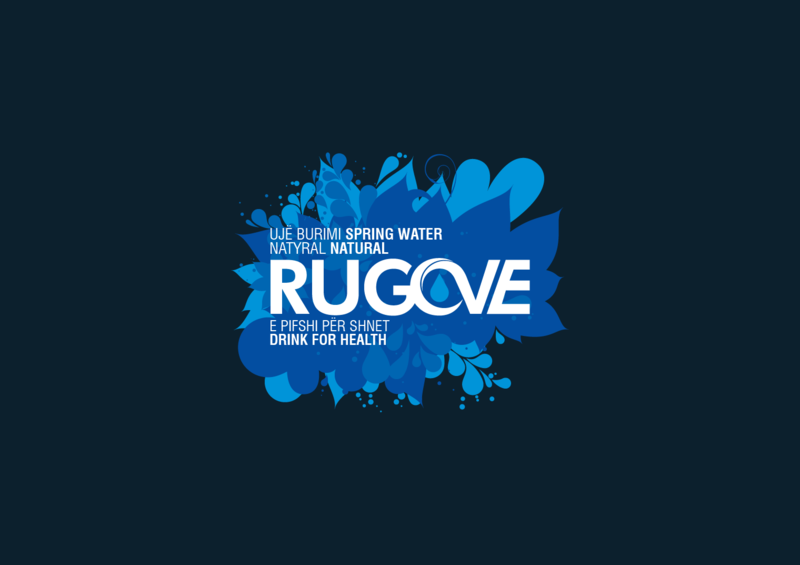 The images show the nature of Rugova, in shapes which pertain to the company products, such as their logo and the water bottles. There are other shapes as well, which gives the end product a feeling of pureness, freedom, tradition, and nature. Rugove went ahead and build a whole campaign with the designs, and still uses them today. The designs turned out to be so beatuful they could even be sold as a poster.